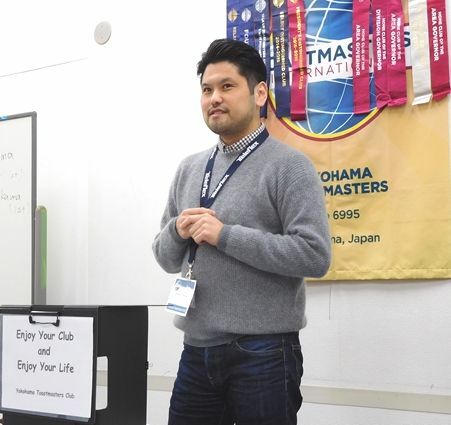 Meeting #639 has been held at Hatoba-Kaikan as usual. 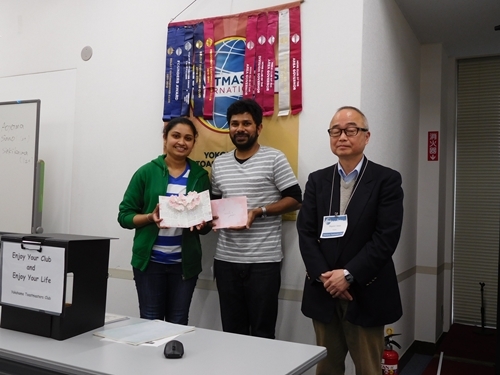 Firstly, we had an induction ceremony of TM A who moved from Kansai area. I feel induction ceremony is done at every meeting, it reminds me of my Day 1. 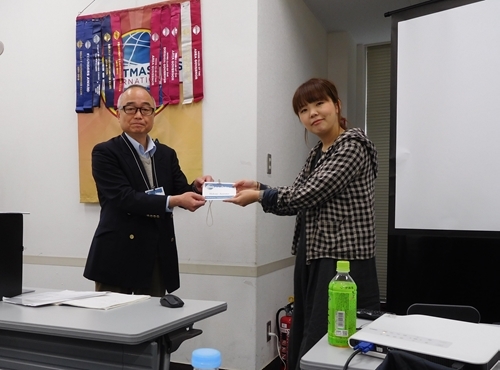 Theme of the meeting was “Farewell” since March is the season of graduation in Japan. 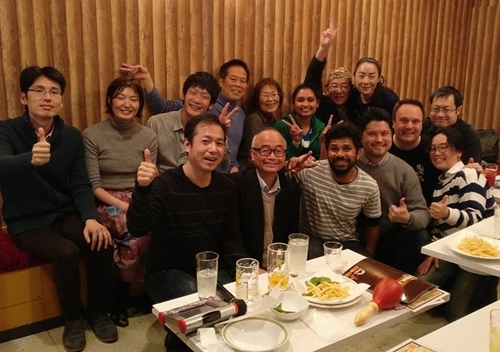 Also, TM J and TM N who actively involved YTMC for a year will leave Japan and are back to home country at the end of March. 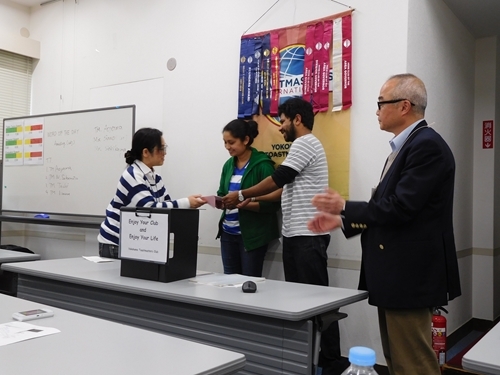 Participants shared their memorable farewell stories. Wept bitterly like the end of the world over teacher’s farewell ceremony of elementary school since farewell means eternal good-bye. Reunited after years of separation from primary school by chance. Graduation ceremony of university was canceled due to Tohoku earthquake. 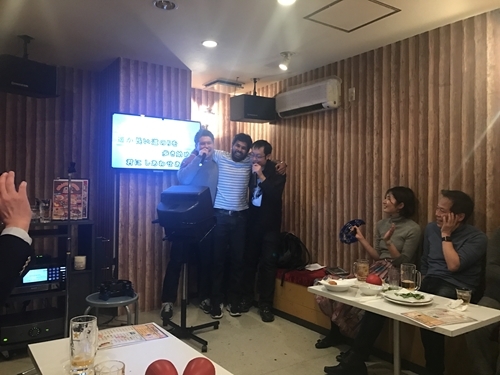 Table topics session was held along with Farewell. Three prepared speech was done for the meeting. 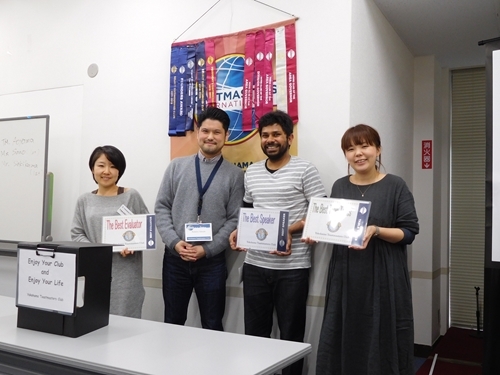 it was less than usual since we had special sessions like Workshop by TM F and Contest speech by TM H.
Speech of TM J was perfect for the finale, he won “Best speaker award” by making a fantastic speech about thoughts and appreciation for Japan. 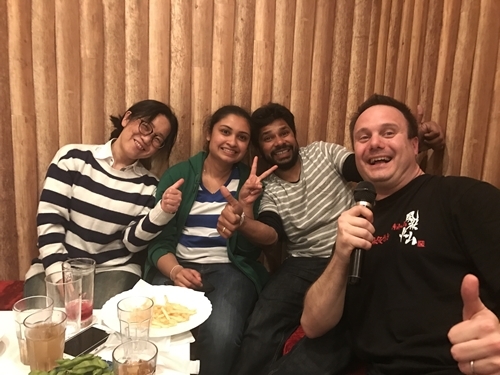 After the regular meeting, many of participants had a party with them. Hoping this meeting was one of the most memorable farewell for TM J and TM N.
Finally, the meeting was successfully finished with warm atmosphere throughout the day though it was my first attempt of TMOD. 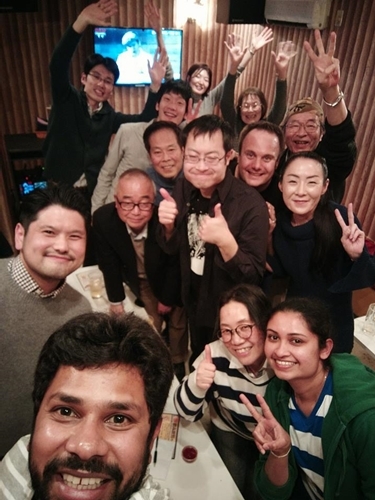 Thank you all for making the meeting great.